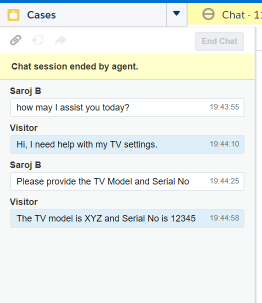 I am accessing Salesforce Live Agent through REST API version 40. I am able to create session, do chasitorInit and get Messages successfully. Can someone help me with this.? I tried to access Salesforce Live Agent REST API(version 40) through a standalone Java class and was able to call all methods successfully. Please see the below code and check if you have missed anything. Hope this helps. String chatMsg = console.nextLine(); // Get what the user types. Not the answer you're looking for? Browse other questions tagged rest-api liveagent chat or ask your own question. 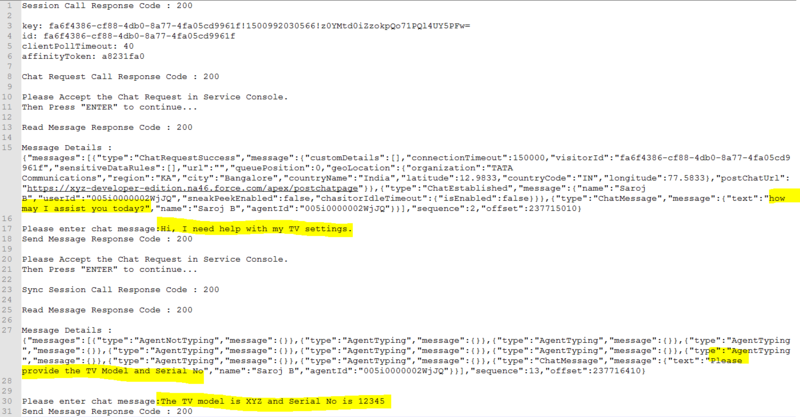 Does the Live Agent API really use Long Polling?